Matcha Frappe, Salted Caramel Pastillas, and Strawberry Trifle. 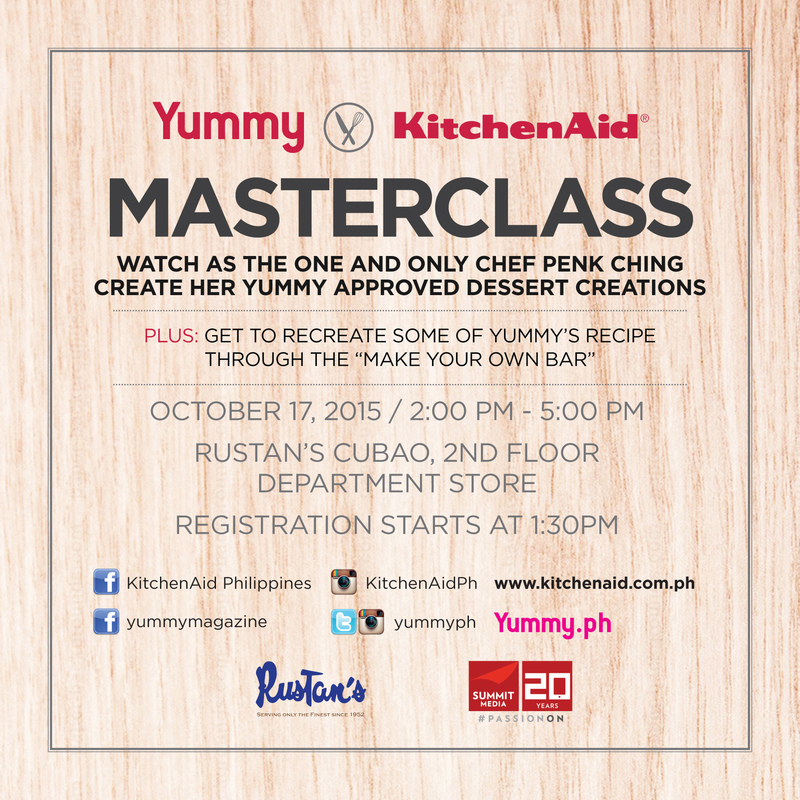 After the success of the two previous legs of the 2015 Cooking workshop series, Yummy Magazine, in partnership with KitchenAid, concludes this year’s demonstrations with the third and final installment featuring pastry chef, Chef Penk Ching. 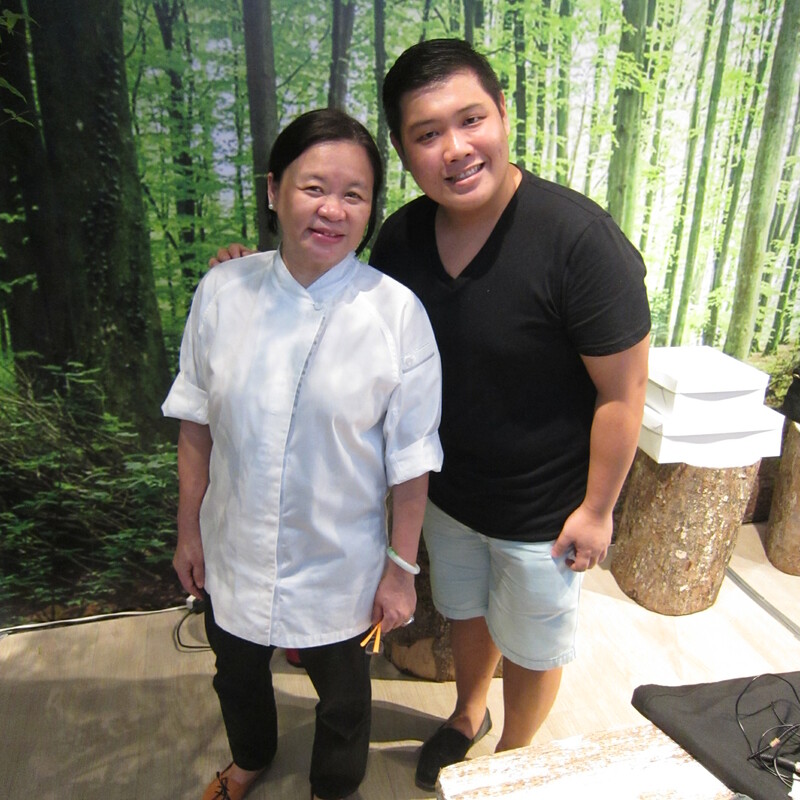 Chef Penk Ching is known as on the leaders and pioneers in the wedding cake industry. Her brand, Pastry Bin, creates exquisite customized cake have attracted an impressive clientele, from celebrities, important personalities, large corporations, and clients abroad. 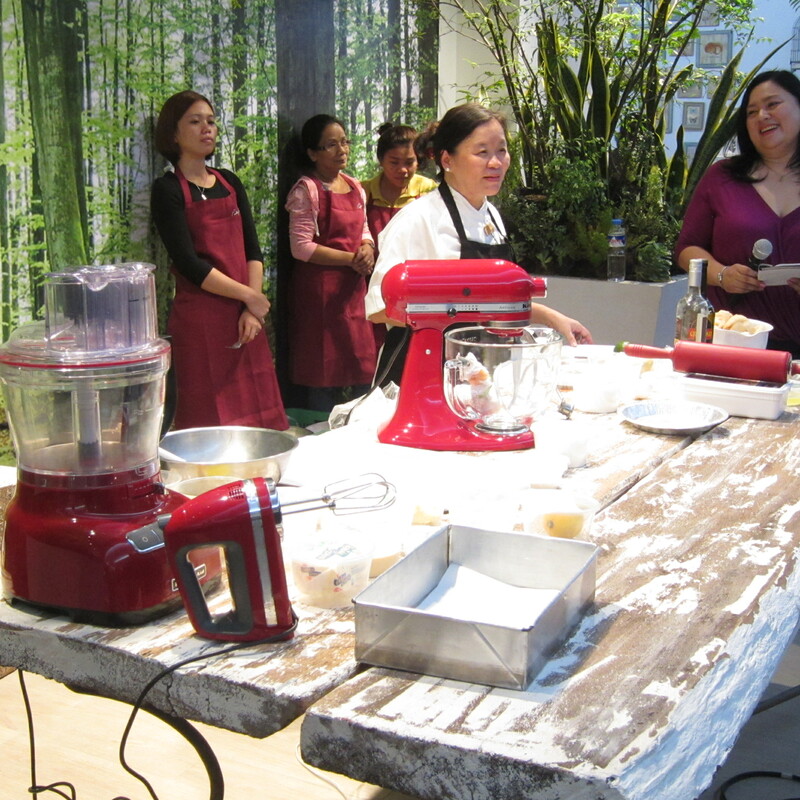 Avid Yummy Magazine readers were able to make 3 mouthwatering recipes using KitchenAid appliances. 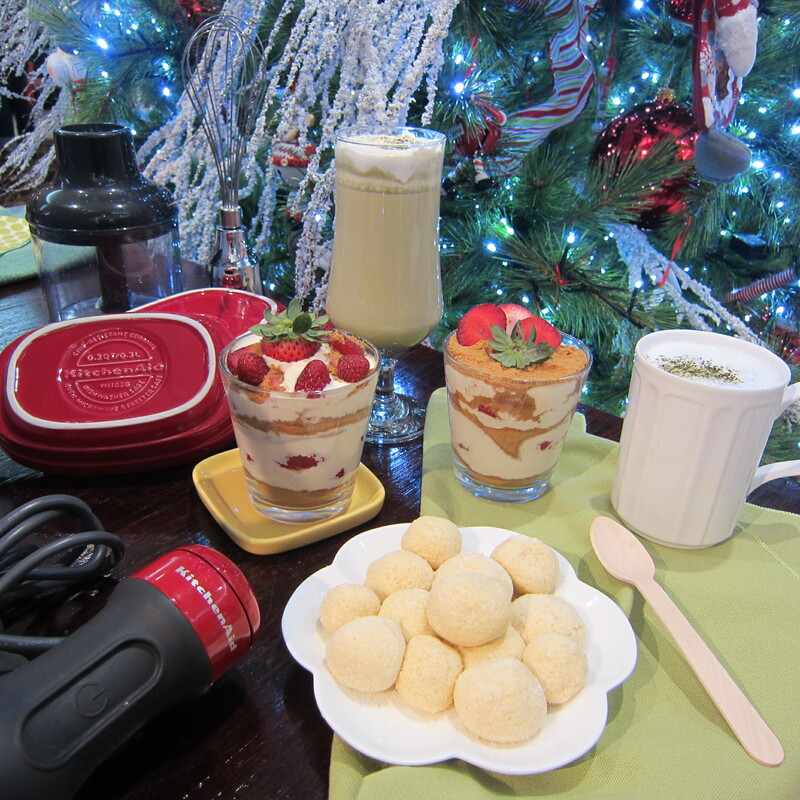 The KitchenAid Hand Blender was perfect for making Matcha Frappe, the Hand Mixer made it really easy to make Salted Caramel Pastillas, while the KitchenAid 3.5 Cup Food Chopper created a smooth, refreshing Strawberry Trifle. 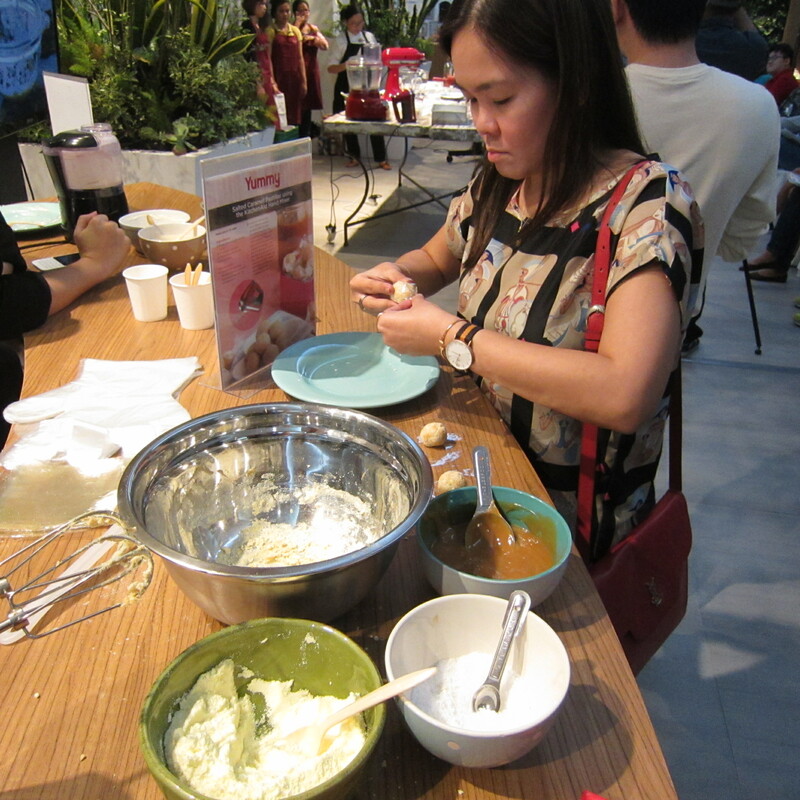 Chef Penk proudly shared 3 of her favorite dessert recipes: 1.) Feathery Cheesecake, 2.) 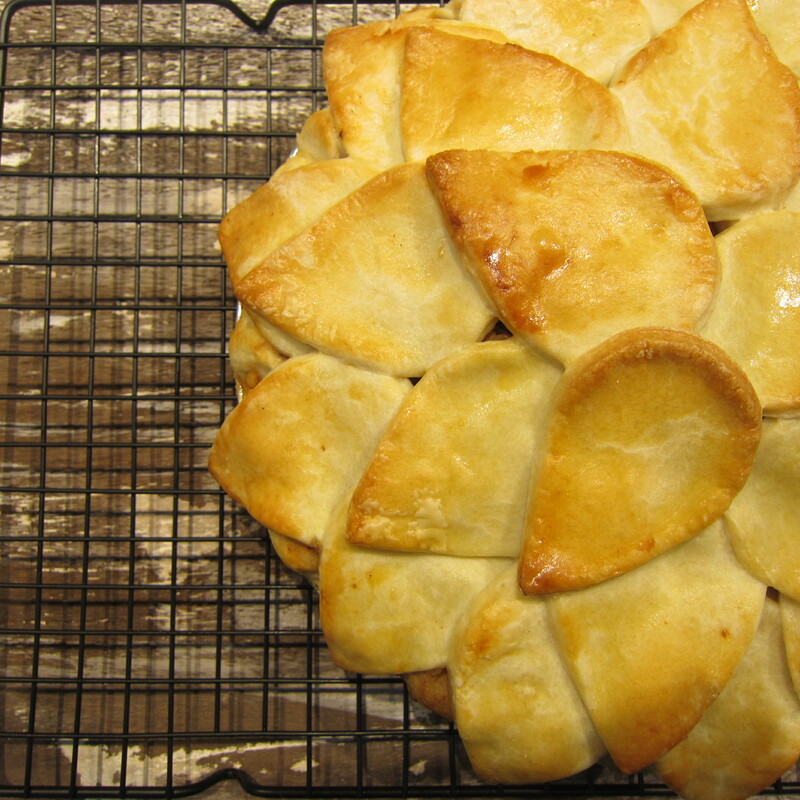 Pear Honey Walnut Pie, and 3.) Royal Icing.